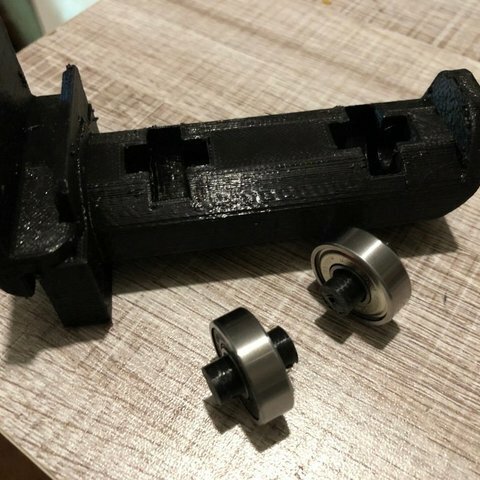 Two improvements over stock: the bearings, so flexible filaments and others can be pulled into the extruder more easily, and fits almost all 1kg rolls and smaller, not just FlashForge. Fits the holder slots at the back of the Guider 2. Use 680ZZ bearings - I got mine at a skateboard store. The axles fit tightly as they need to - hammer them into the centre of the bearings. 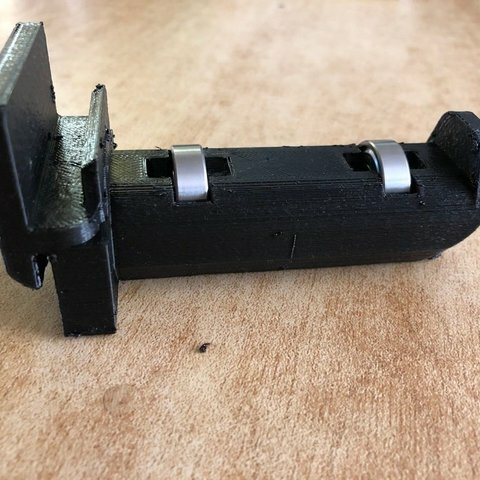 Remix of the brilliant spool holder made for the Wanhao Duplicators by Leon_123.